He was an unhearlded kid out of Erie, PA — skinny, slow and quiet. He was also an All-American, All-Pro and maybe the best receiver in Seminole history. Now, for the first time in nearly 50 years, he's out of football. Fred Biletnikoff has retired as receivers coach of the Oakland Raiders. What did Freddie B. mean to football? More than just a dependable, possession receiver. He symbolized a fearless disregard for life and limb — sacrificing those bony joints to make the catch, no matter what the price to be paid. 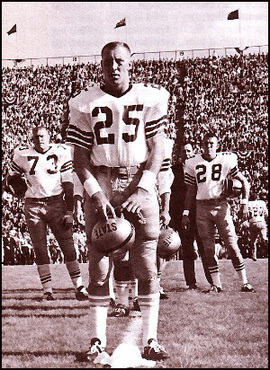 Fred's career, from high school to Tallahassee to Oakland, is summarized beautifully (hear it below) by Raiders owner Al Davis during Biletnikoff's Hall of Fame induction. We've never heard the mysterious Davis pay such an emotional tribute to any of his players. But then, there was nobody quite like the elusive, determind Freddie B.